Sad Woman With Cold Or Flu Blowing Her Nose With A Tissue Under.. Stock Photo, Picture And Royalty Free Image. Image 46290241. 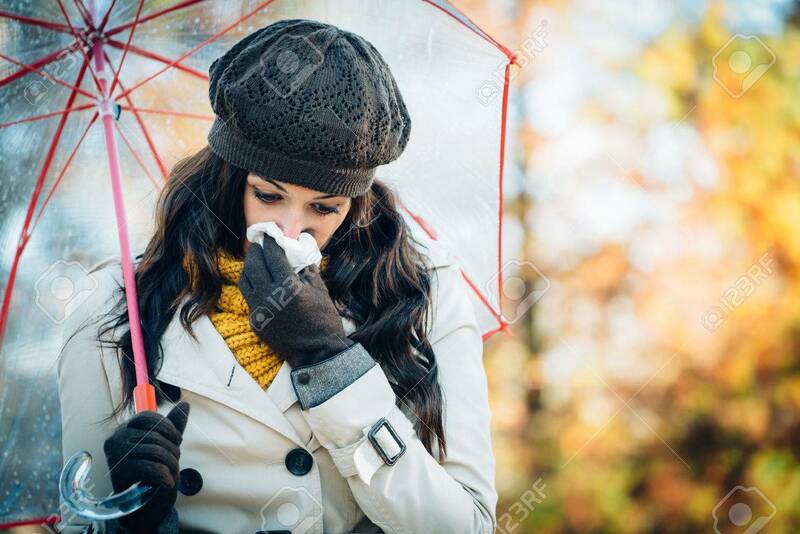 Stock Photo - Sad woman with cold or flu blowing her nose with a tissue under autumn rain. Brunette female sneezing and wearing warm clothes against cold weather. Illness, depression and allergy concept. Sad woman with cold or flu blowing her nose with a tissue under autumn rain. Brunette female sneezing and wearing warm clothes against cold weather. Illness, depression and allergy concept.